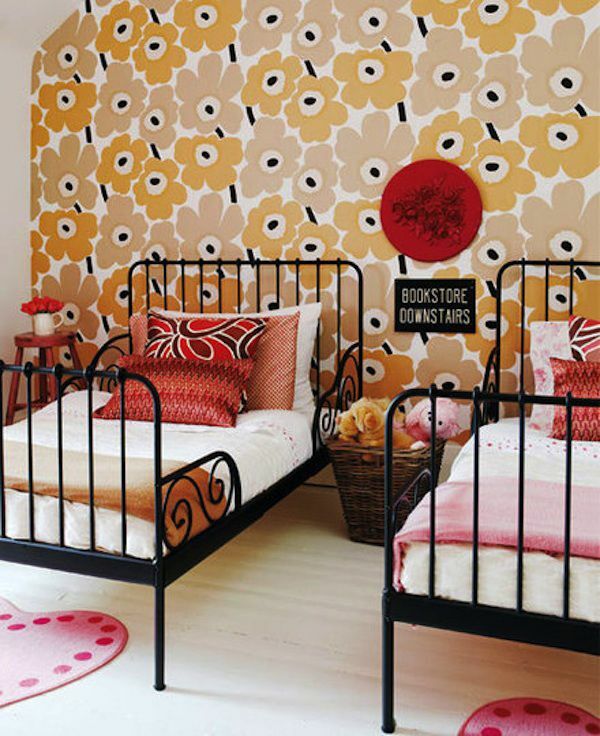 Why I Love… Marimekko | life.style.kids. I stumbled across my first Marimekko print in a Clapham charity shop about a decade ago, and was captivated by the bold pinky red flowers. I didn’t know it was an iconic Finnish print from the sixties, I just loved it. I turned one of the sheets I’d found into cushion covers for my new sofa and a mini obsession was born (my elder daughter even made a pilgrimage to the Marimekko factory shop for me when she was studying in Finland). The Unikko print – which colourway is your favourite? Born in 1951, Marimekko is a Finnish clothing and textile company famous for its dynamic, graphic prints. Its fashion collection caused a sensation when it was first launched, Jackie Kennedy one of its earliest fans. Riding on the current wave for all things Scandinavian, you can now find their products at Heal’s and John Lewis, as well as smaller independent shops and online stores. You can buy everything from clothing to homeware in a myriad of patterns, but it’s the classic Unikko print that remains close to my heart. 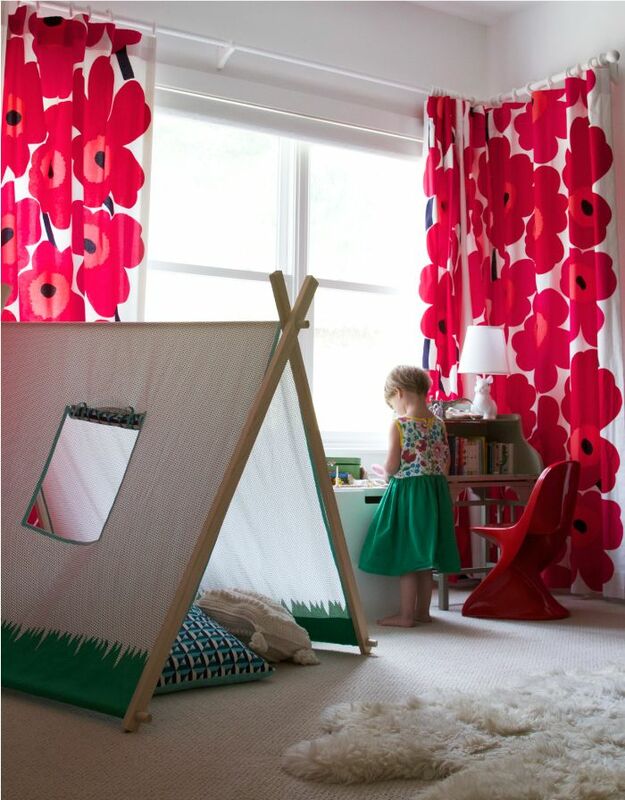 Marimekko’s designs have been massively influential, especially in the last few years, and I think the bold, uplifting prints work particularly well for children’s clothes and interiors. 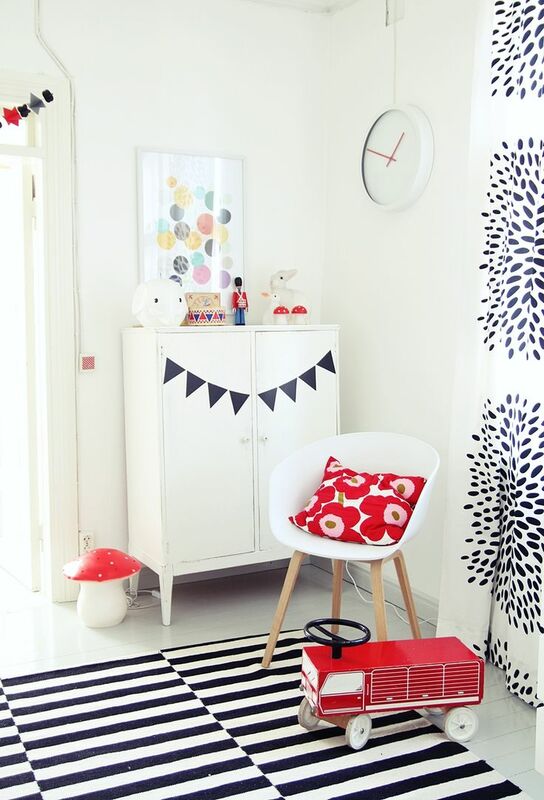 Tags: fashion, interiors, kids fashion, kids interiors, marimekko, parenting, scandi, unikko print. Bookmark the permalink. Brilliant edit again. I particularly love the orange and pink dress. Thanks! My favourite is the little red coat.